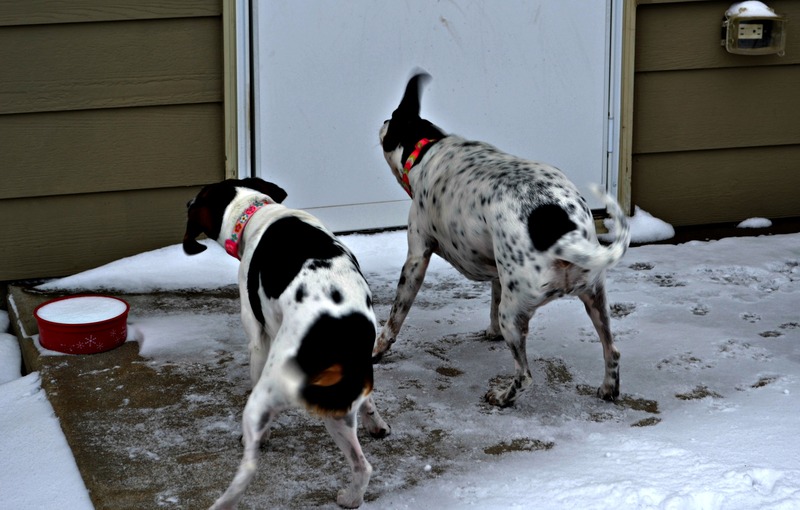 This entry was posted in Dogs, Winter and tagged Dogs in the snow, for the dogs, Oklahoma snow, Snow day, Sugar and Baby. Bookmark the permalink. 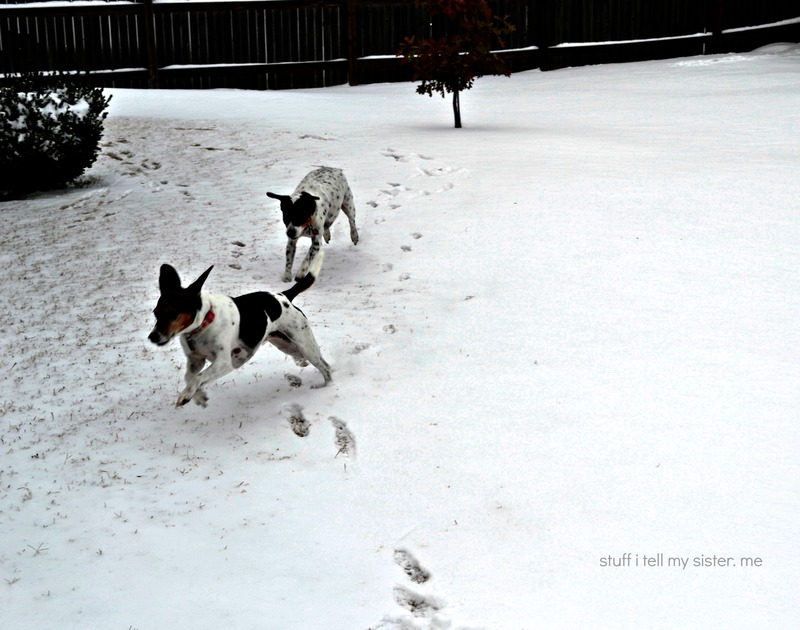 Thank you….they were running like crazy, just like after bath time! ha! I couldn’t even get mine to go potty today, she looked at me like I was crazy. It finally warmed up to 21. I hear rumors it might be 31 one day this week. Mine loved the snow today – it was hard to get them back inside. Great shots, especially that first one! She was determined to simply get in the house! ha! 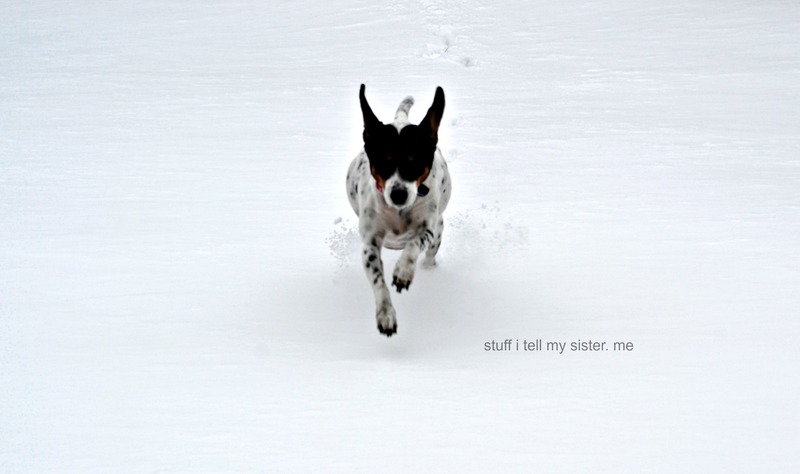 Your dogs are so cute….loved your snow pics….and your birds…amazing! No wonder you are so good at it! Happy Snow Day!! Love the photos! Haha! Oh yes…..come on summer!! (and it isn’t even officially winter yet…we are in big trouble, I fear!) Hugs Bon-bon! Oh jeez…did ya have to remind me of that?! You’re right tho…we have to get to dec 21 still…dont we?! Hugs back! Now THAT’S cold! Be safe, Valerie! Just great …. haven’t met a dog that doesn’t like snow yet … and cats just hates it. Fun and joyful photos – they delights me. They certainly add giggles to my day….and mopping…lots of mopping. How ya feeling these days? Thanks for asking .. had a great day yesterday .. that is why I could visit my friends – today it’s discomfort again – seeing a specialist tomorrow at Malmö hosptial. Hope for the best, because I’m desperate need of relief now. 6 months. Ah…doggies…anywhere..anytime..playing and having fun are the best sorts of pictures! 🙂 They don’t seem to mind snow days….as long as their blankets are ready when they come back in.